The Arizona Legislature meets today to consider an alternative budget if voters do not pass Prop. 100 - the temporary 1 % sales tax referendum - in a special election on May 18. For more information, see Prop. 100 - Your Questions Answered . Cuts to K-12 education since the beginning of the 2009 fiscal year total $424 million, which means our schools have already been cut to the bone. Many Arizona schools are dealing with the loss of teachers; increased class sizes; cuts to extra-curricular activities and athletics; and the loss of P.E., music, librarians, counselors, books and even paper. If the Prop. 100 does not pass, additional state budget cuts starting in July could total $900 million, including an additional $400 million in cuts coming from K-12 schools and $100 million from universities and community colleges. For more, see the Arizona Daily Star, Ariz. lawmakers to consider budget-balancing plan. Are Arizona Legislators Following Their Oath? With cuts to education this deep, it is questionable whether legislators are following their oath to uphold Arizona's Constitution, which calls for the "development and improvement" of public education. Aricle 11, Section 10 states that the "legislature shall make such appropriations, to be met by taxation, as shall insure the proper maintenance of all state educational institutions, and shall make such special appropriations as shall provide for their development and improvement." AEN has analyzed the recently released Auditor General's Report on Arizona Classroom Spending for 2009. Classroom spending has become a "hot potato" issue because of the restrictive definition of "classroom spending". While classroom teachers, instructional supplies, and aides are included in the classroom spending figures, positions such as librarians, counselors, and nurses are not. Also the inclusion of Proposition 301 money for teachers is disputed. The Auditor General's Report leaves out two important factors - cuts by the Legislature to K-12 education funding and a precipitous fall in the Proposition 301 sales tax funds available for the Classroom Site Fund (CSF) To read more click here. The House rejected an effort to put income limits on the private school tax-credit program, refusing to establish a "means test" or income requirement for those applying for private school scholarships paid for by the tax-credit program. The private school tax-credit program, which was established to create choice for those with limited means, starts to run the risk of looking like, as Representative Steve Farley called it, "welfare for the rich". Click here for the full article. 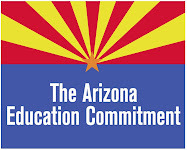 The Department of Education announced on March 4, 2010 that Arizona was not chosen for the first phase of the federal Race to the Top grant, resulting in the loss federal funds to benefit Arizona public education. Click here for details. Four steps you can take to support public education in Arizona: Vote, Vote, Vote, Vote! Vote YES if your district is holding an override or bond election on Tuesday, March 9th (tomorrow). Vote YES on Prop. 100, the sales tax referendum, Tuesday, May 18th. Vote for pro-education candidates in the Primary Election, Tuesday, August 24th. Vote for pro-education candidates in the General Election, Tuesday, November 2nd. Education is important especially to children. we should never let this cut off happened vote for this act. You’ll help save a lot of kids from illiteracy. They say children are the hope of the future and it’s true. But without education this is all useless. Help support this act and vote for your children’s future.